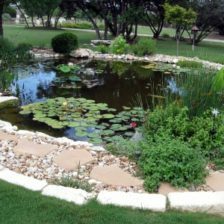 Dorian Construction Group is the only custom builder for ponds in El Paso. Our team doesn’t use prefabricated liners purchased at the local home construction store. 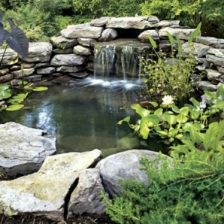 Our team designs and constructs a unique pond for your property. There is simply no limit to the service we provide to make your backyard garden feel complete. 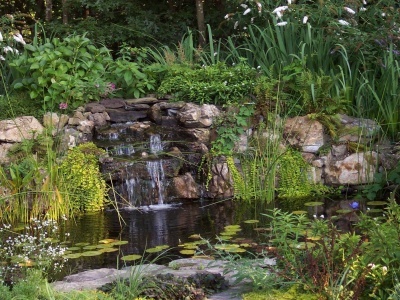 If you have specific garden ponds and waterfall ideas in mind, you can share them with our designers. From there they will take your backyard ideas and make them a reality. A lot of people feel less than enthusiastic about ponds due to all the necessary maintenance. 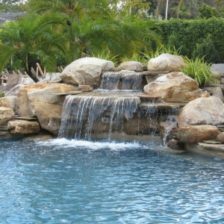 However, we also offer pond, pool, backyard, and waterfall maintenance. 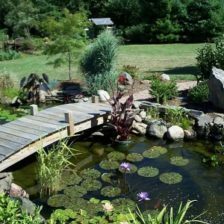 We can we service your existing pond with regular clean-outs and maintenance, but we also offer complete pond renovations. There isn’t a job too big or small for our team to tackle. 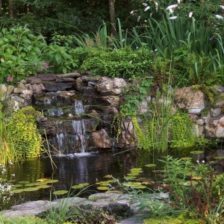 Aside from making your property the envy of the neighborhood, there are many benefits to installing backyard ponds and waterfalls. 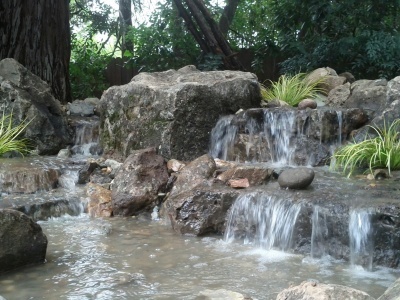 The serene sound of flowing water is great for relaxing and entertaining. 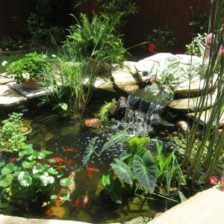 Including fish and tadpoles are another benefit to your backyard, especially if you have young curious children that love to learn. Your children can have a natural habitat in the middle of the suburbs where they can learn how tadpoles grow into frogs. Another bonus to frogs is the fact that they eat unwanted garden bugs. 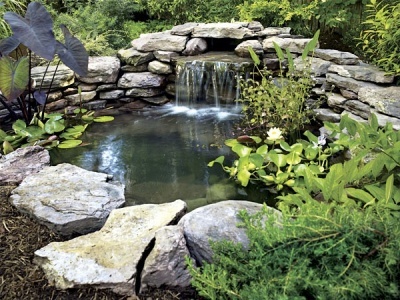 A backyard pond can also be a great remedy for soggy spots in your yard or annoying rain runoff. 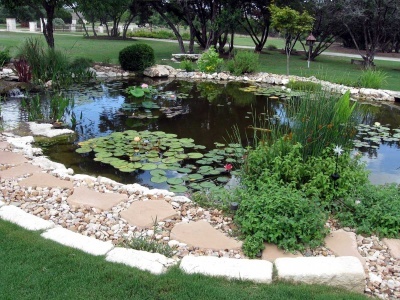 Dorian Construction Group has been providing El Paso and the surrounding areas with quality custom ponds for decades. 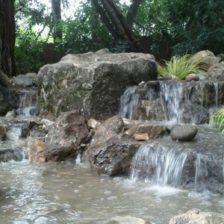 We are skilled at building customized water gardens that include waterfalls, bridges, stream paths and much more. 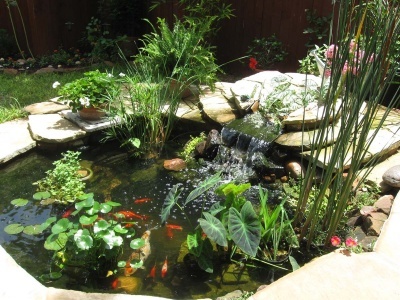 In addition, our backyard ponds feature splashing motion detection to keep wildlife and feral cats away. When you have your backyard oasis built by Dorian Construction Group, we don’t use prefabricated molds or outdated designs. What you get is a backyard that your neighbors and friends will compliment for years to come. 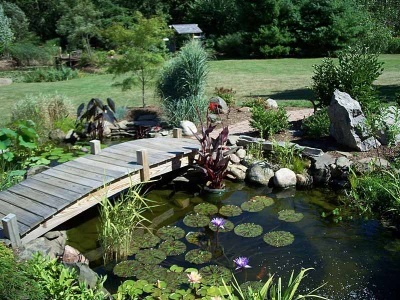 Our full-service projects include pond design, construction, and regular maintenance. 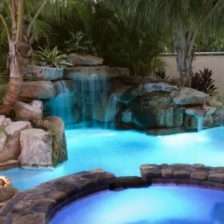 Any backyard oasis dream is what we specialize in transforming into a reality. Not only that, we can create the luxurious water garden or waterfall you want at your commercial property to enhance your business’ curb appeal. 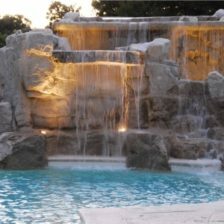 Since we are masters of outdoor architectural art, our team of designers and builders will create any type of water landscape imaginable. 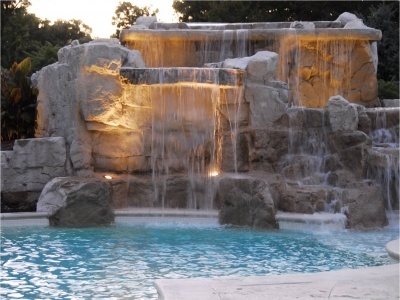 From custom made backyard waterfalls and ponds to accent waterfalls with fire inserts on top of the water. There’s no need to buy a pond insert from a hardware store when you have our team on your side. Our only limitation is your imagination! Be sure to click around and take a look at all the construction projects our team can take on. 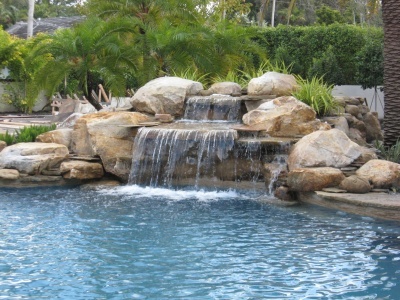 We can compliment your pond and waterfall with a great outdoor kitchen or fireplace or pool. If you are looking for a piece of heaven on earth right in your own backyard, then you’ve come to the right place. 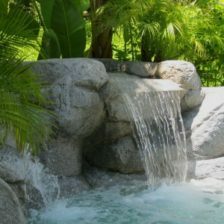 Some of our previous water projects include adding an accent waterfall to an existing pool along with accent boulders to create an exotic plateau. Our team thrives at making the wildest ideas come to life in order to enhance any backyard experience. 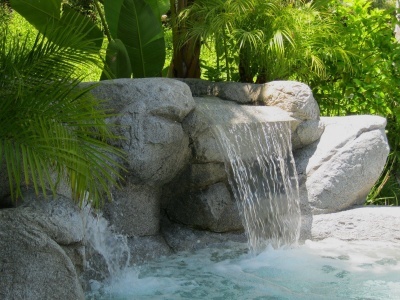 Not only do children love waterfalls and spa spillovers, but we know you will too! Remember, nothing is impossible for us to create! So, contact us today and we’ll schedule a free consultation with our master designer.